The following information is provided by Richard Osborne. There were at one time two motte and bailey castles in northern Cardiff. One located in Whitchurch - and levelled earlier this century - and the other which still stands today called the Twmpath, on the Northern edge of Rhiwbina (near Wenallt Road in Rhiwbina). It still stands a good 30 feet high, although it has a fair amount of vegetation covering it. 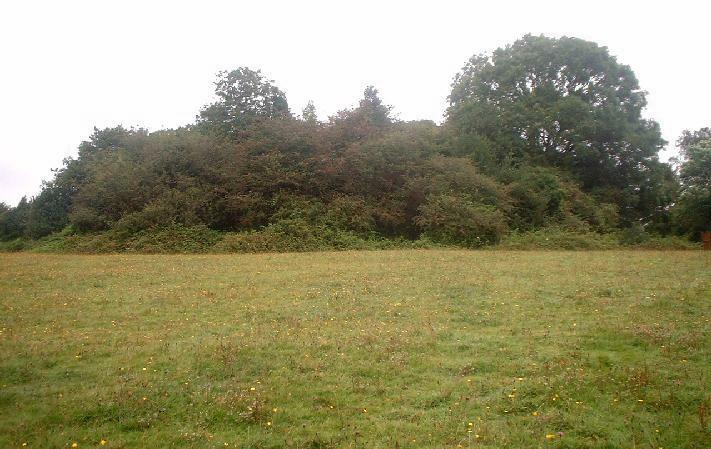 It is associated with two local legends, one which refers to it being a burial mound erected about 1089 for Iestyn ap Gwrgan, Lord of Glamorgan, although you don`t usually see burial mounds with deep ditches around them! The second legend refers to a story where the Devil piles up some earth in the form of a mound.